Learn about the features of our hilarious photo booths! It requires more than just saying cheese! Ours Are Not Found Anywhere Else!! Tired of plain photo strip borders? Lotsa Laffs can help. Fashioning our borders to your event, our in-house graphic designers work to create the ideal border artwork. Add a nifty custom logo too! Live Out Your Alter Ego! 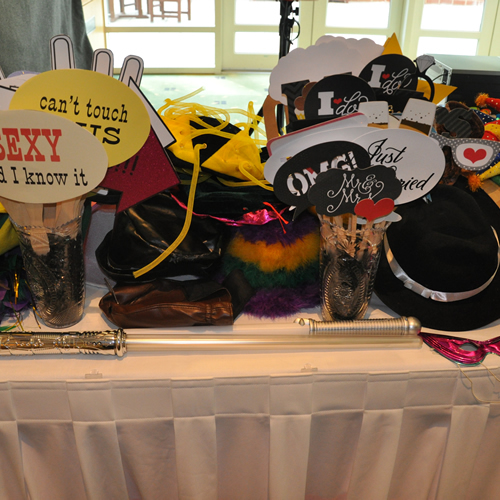 Live out the possibilities of your wildest fantasies with our huge offering of thematic photo booth props! An entertaining time for all is ensured by working to conform our props to the theme of your event! Emphasize The Best In Your Photos! Backdrops enhance the subjects of your photos and our amazing props. Take your photos to an entirely new level with our green screen backdrops, allowing for any image to act as a custom backdrop! Reach The World With Your Photo Strips! Everybody wants their friends to see the great time that they are having. Send out your photo strips to social media platforms right from our photo booths! Even custom edit the photo strips before sending. Lotsa Laffs Photo Booths is proud to design our photo borders completely in-house, never using purchased template border designs, and working to develop a border design based on the vision of your event. Your event is important, and this sentiment is emphasized in designing your photo border artwork wholly from scratch. In developing your color scheme, graphics and event-themed text, your vision is the primary driver in our design. Preferred custom fonts will be incorporated into the border design. Corporate events come alive with the addition of your organization's logo incorporated on your custom photo strip border. Our graphic designers work with your artwork staff to make this happen. 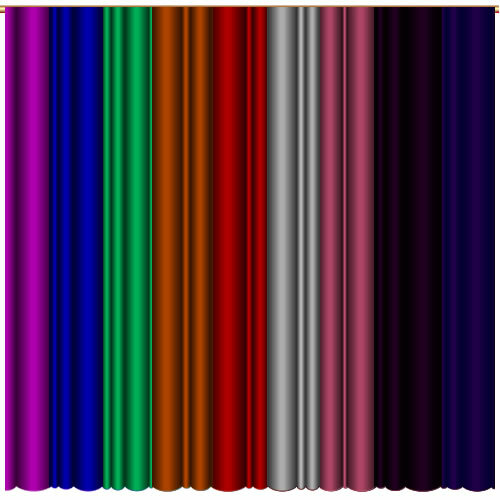 As the print quality of photo borders can vary from design to the actual printing of the border, all border designs are tested for printing on our dye-sublimation photo printers. Lotsa Laffs provides assurance that the photo strips printed at your event will exhibit your vision and look their best! Lotsa Laffs knows that a great photo begins with wacky and creative props. All of our events include a large selection of mustaches, signs, frames, goofy sunglasses, masks, novelty items and much more. Lotsa Laff’s team is a bunch of fun-loving individuals that seek out hilarious props to enhance your photo booth experience. Our props are displayed for easy access allowing for readily changing props between photos. Working hard to make sure everyone at your event has a great experience while posing for pictures, our involvement ensures a terrific time. Let your guests live out their wildest fantasies by choosing Lotsa Laffs Photo Booths for your next event! While backdrops can be an afterthought in many photographic situations, Lotsa Laffs Photo Booths considers backdrops to be a priority feature for your photos. The purpose of a backdrop, along with proper lighting, is to enhance the appearance of subjects in a photograph. For your photo booth sessions a selection of backdrops is offered allowing for capturing the proper mood of your event. In optimizing the appearance of your guests in photos with various colored and textured backdrops, the appearance of our props is also enhanced, allowing for some very amusing shots. Another utilized approach employs a green colored backdrop also known as a green screen. With a green screen, a predetermined image of your choice replaces the green background in the final photo. Your guests can appear in Times Square, on a snow covered mountain, at a rock concert or anywhere! The choice is entirely yours, and the possibilities are endless with this approach. Lotsa Laffs assists in determining the ideal photo backdrop. 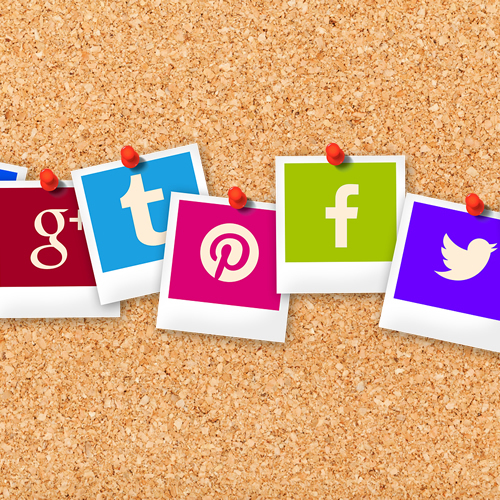 Everybody loves social media! Lotsa Laffs recognizes this and provides the ability for users of our photo booths to send photo strip images out to social media platforms directly from our booths. The Lotsa Laffs social media station is set up near our photo booth at your event. Here the ability to edit your photos is provided so that enhancements may be added. 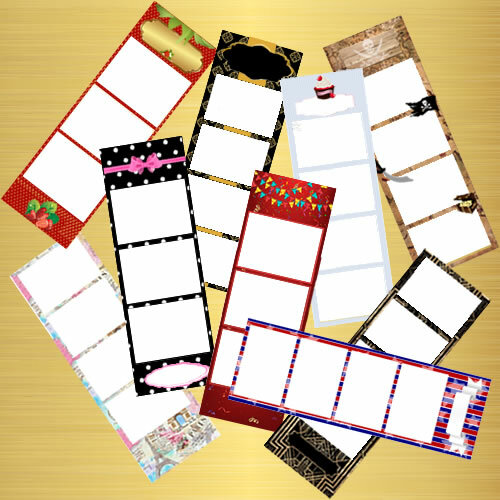 Once the appearance of your photo strips is perfected, they can be sent out to the world via email, MMS or to your Facebook account. Of course, photo strips can be printed out at the photo booth at the same time. Lotsa Laffs also provides an optional password-protected online photo gallery for a set time after your event where your guests have the ability to view and download photo strips from your event. With this option, downloaded strips can be sent out to any social media platform of your choice at your own convenience at a later date. Also with the gallery, distant friends and relatives will be able to enjoy the fun photos from your event!